5. 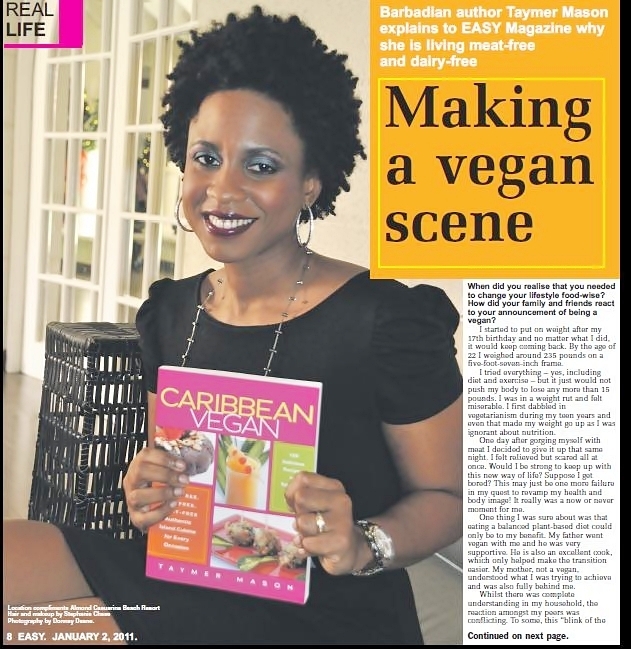 Taymer and Caribbean Vegan is featured in a 2 page spread in the Sunday Sun’s Easy Magazine. 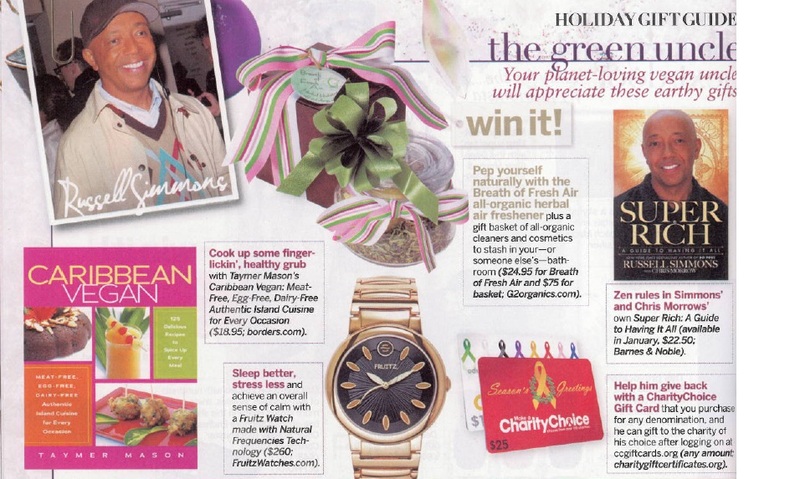 She will be a contributor in their food section for the month of January. Great blog. I found it while searching for conkie recipes to make for a dinner party with my boyfriend and our Canadian friends. 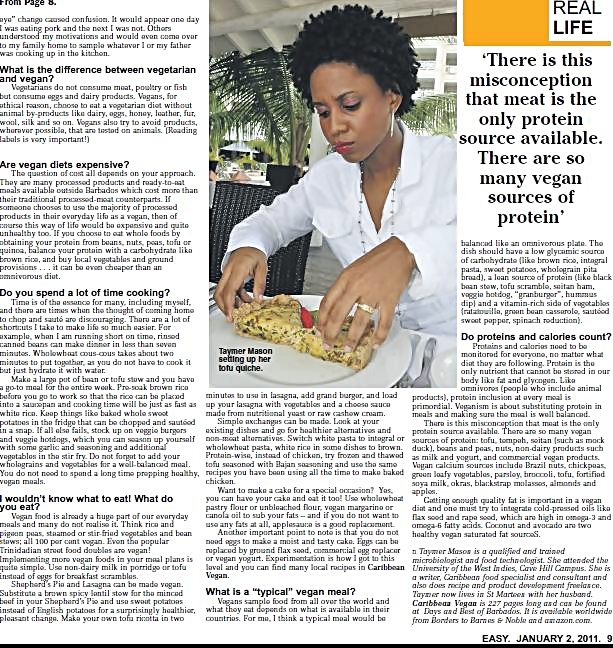 I’m originally from Barbados too so was really pleased to see all these old favourites redone with a more healthy twist. Thanks!